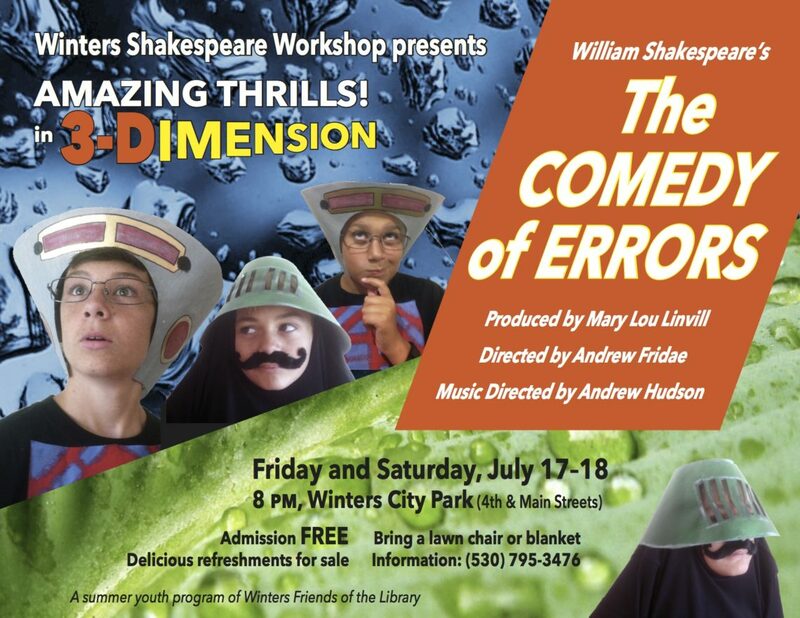 Don’t miss this Friday and Saturday, July 17 and 18 at 8 pm night to enjoy the fabulous production of the Comedy of Errors by Winters Shakespeare Workshop. Head down to the Winters City Park at the corner of 4th and Main in Winters, CA to enjoy culture, community and creativity. The Winters Shakespeare Workshop is a summer youth program of the Winters Friends of the Library. There is not entrance fee, but there will be delicious homemade refreshments for sale and we gladly accept donations for this worthwhile program. Please share the information and invite your friends! See you this weekend!